Any orders received Monday to Friday up to 15:30 (3:30pm) providing that payment has been confirmed, will be processed that same day and despatched the same day, or the next working day by your chosen delivery option. Orders received after 15:30 (3:30pm) and on Saturdays, Sundays and Bank Holidays will be processed on the next working day. 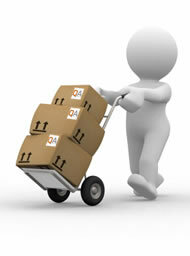 Deliveries are handles by various courier services and despatched from various warehouses. Please note that a signature will be required on delivery by the respective currier service and that delivery can only be made to the address of the card used to make the purchase. To keep things simple, we charge a fixed rate of £9.99 + VAT for our Next Day Guaranteed* service. Unfortunately we are not currently able to offer the option adding a different delivery address for any online orders, other than the registered credit card address. 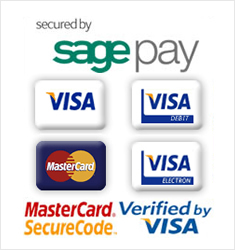 This we believe to be in the best interest of our customers by reducing the risk of fraud. Please note that we do not currently accept orders from outside the UK.